Today our upgrades for the MakerBot Replicator 2 3D printer that we are using made by BC Technological Solutions have arrived and we are already eager to start installing them. We’ve had to wait a bit for these to arrive when we have ordered them earlier this year, but it was well worth the wait – the shipping should be faster at the moment once you make an order. 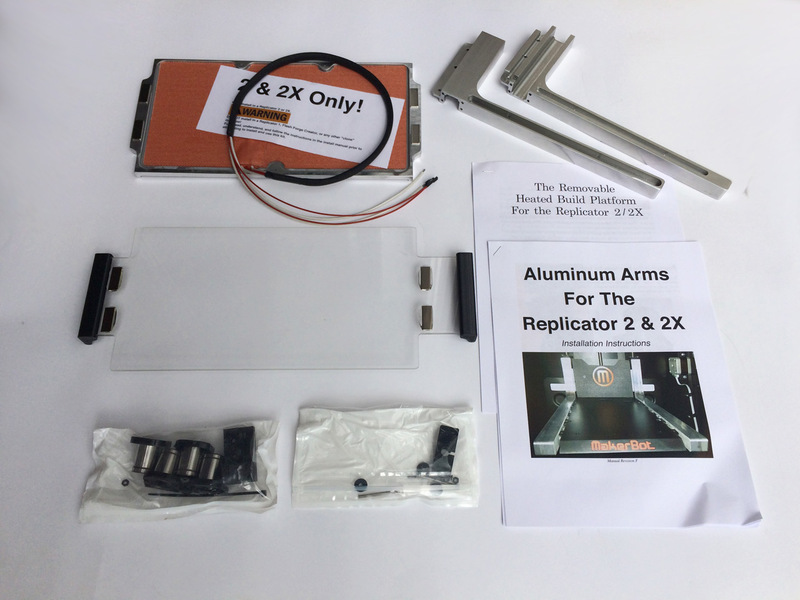 We have ordered both the Aluminum Arm Upgrade and the Removable Heated Build Plate Upgrade that the company makes for Replicator 2 and Replicator 2X owners and although a bit expensive, these are probably the best you can get if you need to stiffen the build plate and add heated build plate to your device. We have already installed Aluminum Arm Stiffeners from Performance 3-D on our Replicator 2 3D printer and they are working quite well. 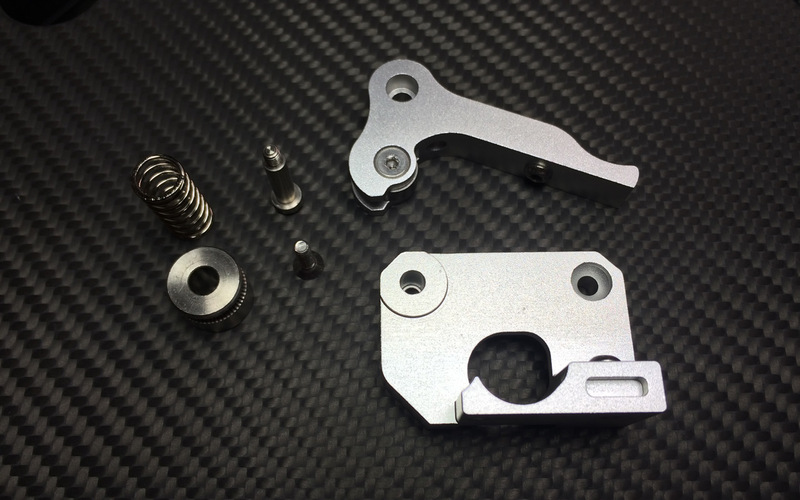 The Aluminum Arm Upgrade from BC Technological Solutions however is much more advanced product as it is not in the form of an addon to your existing plastic arms, but completely replaces them. 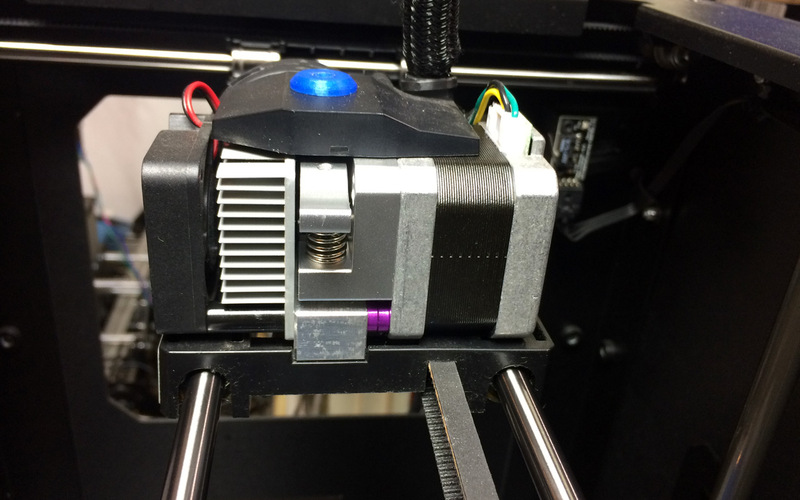 Another important advantage is that with the new metal arms for the build plate are designed in a way to accommodate linear bearings for the Z axis of the 3D printer. 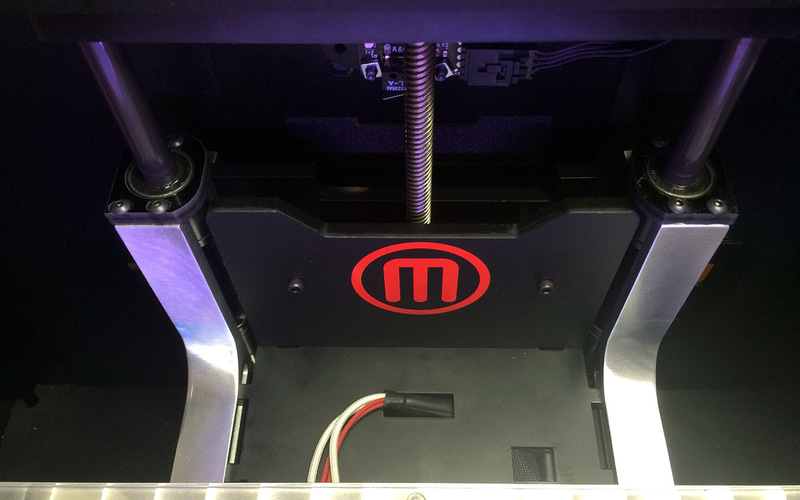 We have already made the Upgrade to Linear Bearings on our MakerBot Replicator 2 earlier this year for the X and Y axes. 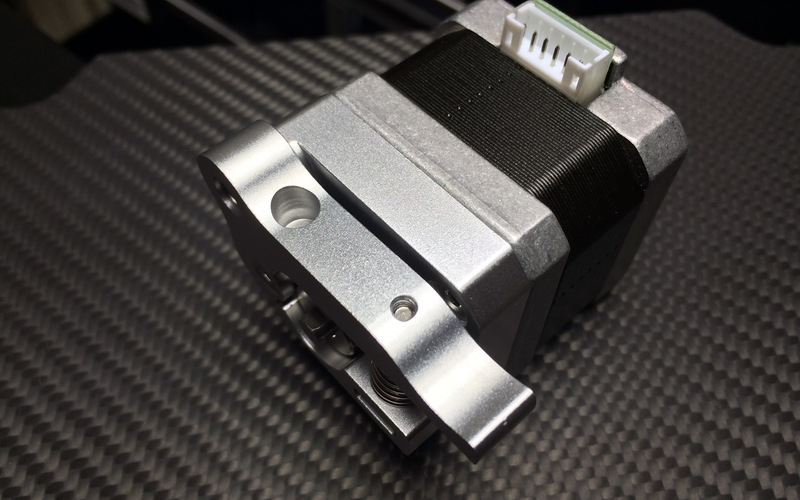 While doing the upgrade however we have discovered that with the stock plastic arms there are no suitable linear bearings that we can use for the Z axis, one of the reasons we actually decided to get the arms upgrade from the BC Technological Solutions. 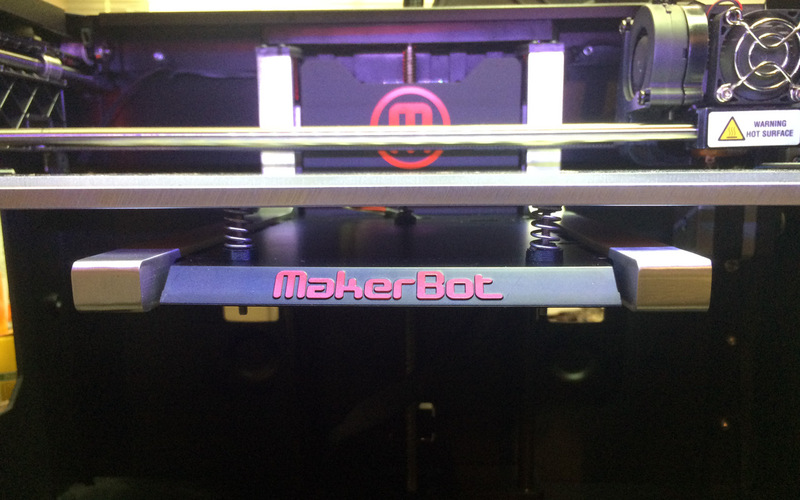 By design the Replicator 2 3D printer from MakerBot is not designed to be used with ABS filaments as it does not come with a heated build platform and while we do not miss this feature much as we do not often need to resort to ABS printing. The problem is that there are already quite a few interesting experimental filaments that also require a heated build platform, so we have decided to add that functionality as well. Looking over various options raging from cheap DIY solutions to the more serious upgrades kits available we again ended up going for the Removable Heated Build Plate Upgrade from BC Technological Solutions as the best choice that not only adds heated build platform, but also includes some useful features such as the removable build plate attached with magnets. The only drawback with this upgrade is that it does nto include all the required things for installation on a Replicator 2 – you still need to order a 24V, 9.2A power adapter separately as the standard power adapter of the printer is not able to handle the increased power usage when using the heater. So you need to take into account the additional cost for a power adapter such as the 220W Meanwell GS220A24-R7B adapter that we have also ordered separately and are currently waiting it to arrive any moment now to start installing the upgrades.